Robert Mugabe is extraordinarily clever. For instance, do you think his aim for Zimbabwe’s liberation movement was to gain freedom and self-determination for all Black Zimbabweans (or, more accurately at the time, Black Rhodesians)? That is what he wants us all to think, and he has succeeded because no one questions it. But what was his real ambition? Events since have proved that he saw an opportunity to own a private fiefdom in which all its citizens would be his subjects – and if that was not his original intention, it certainly became so within a matter of years after he gained power. To do that, the real prize would not be to overcome White rule, it would be to conquer and subjugate his own Black citizens. Defeating Ian Smith was merely a necessary step along the way. For a start, his revolutionary movement was communist-inspired and communist-backed. Communism is one of the big confidence tricks of history. Claiming to be for “the workers”, it is in fact not. In no communist state anywhere in the world have workers actually been better off, and that is definitely true in Africa. On the contrary, they have always fared better under capitalism, and wherever you go in the world, the workers with the best lifestyles and most freedom are those in capitalist democracies. In theory, communism is a very persuasive ideology, which is why it has attracted such public support among the working and peasant classes. But in practical terms, it is the complete opposite of what it pretends to be. Under the way it has been used in every nation that has adopted it, workers are there to be oppressed, exploited, abused and kept in poverty for the benefit of a tiny ruling elite. People who get to the top do very nicely out of it, everyone else loses. This should have sounded a warning bell to all educated Africans where Mugabe is concerned, because anyone who uses communist backing is not going to be interested in freeing citizens from poverty, or enfranchising them. But Mugabe was clever. Despite the communist support without which he probably would not have succeeded, when it came to the talks to found the new nation state of Zimbabwe, he hid his true intentions and went along with creating a democratic state because he knew anything else would be unacceptable to Britain and the international community. But having gained power, he then set out to systematically cull the opposition and set up a one-party state by absorbing ZAPU, the only other relevant party at the time. When ZAPU later pulled out of the arrangement, they paid a brutal price involving wholesale torture, murder, and genocide at the hands of ZANU PF. So much for democracy even early on in his reign. MDC, too, has suffered enormously over the years, with 700 leaders known to have been murdered, others who have “disappeared”, and countless thousands – some say over 6,000 -imprisoned, beaten and tortured. Unable to create the one-party state he needed to guarantee his power, mainly because of MDC’s persistent refusal to give in to his enormous pressure, Mugabe had to go further. And he took two vital steps. The first was to convert ZANU PF from being a political party to being the organ of state, with ZANU PF successfully becoming deeply-entrenched in all the important organisations and institutions of power. Whether in a democracy or in a dictatorship, the only internal power capable of dislodging the ruling party is citizen power. So Mugabe’s second step has been to emasculate that, by using violence, brutality, abuse, murder and dispossession. But most of all, by keeping the mass of the population in poverty because a wealthy citizenry would simply not have put up with him. In all that he has been most successful. Now, too many Zimbabweans have given up the struggle, others are too frightened, and yet others see no point in even trying. By achieving both these objectives, he has aped communism. What makes that so hard to dislodge is that it, too, is not a political party but the organ of state, just as in China and North Korea. Russia is a good example of how powerful it is when a movement becomes the organ of state. There was huge excitement in the developed world when democracy apparently ended communism in Russia. In practice, because communism had infiltrated all the organs of state, nothing changed. Russian citizens still have no real freedom, and they continue to be ruled by the old, corrupt elite under the veneer of democracy, exactly as is the situation in Zimbabwe. In Western terms, ZANU PF has become the Establishment. And it was the Establishment (which in the West’s case was the aristocracy, the Christian Churches, the landowners and big business owners) that had to be brought down before Westerners could get themselves from poverty to the affluence they have today. Bringing down the government was merely the first step in the process of liberating the masses. The far, far bigger challenge was to root out the Establishment from all the organs of state. This is what Russians have failed to do. In the same way, removing ZANU PF will be a far harder task than merely winning the next election. Unless Zimbabweans succeed in pulling out the roots of ZANU PF from all the state organs of power, Zimbabweans will end up in no better a situation than Russian citizens are today. There are precedents for this from all across Africa. Africa is not short of new governments that have been voted in by the populace with the specific remit of ending corruption and repression, only to have their efforts frustrated by the institutional power of the corrupt hierarchy – exactly as has happened in Russia where the real power is in the hands of the Russian mafia. In fact, winning an election may not even work anyway. As previous elections have shown, Mugabe and ZANU PF take little notice of them. This, more than anything, points out how democracy is now a hollow shell in Zimbabwe. 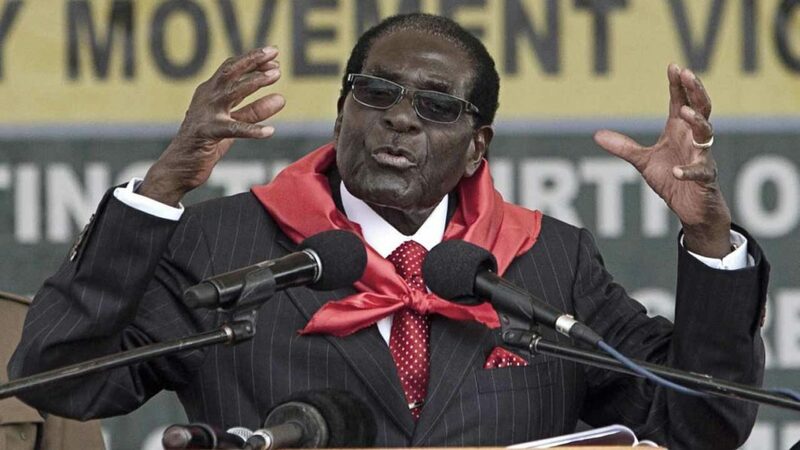 That Zimbabwe is now generally accepted as a dictatorship is demonstrated by the demands made to Mugabe to name his successor, demands that have even come from the opposition political parties, some activists and South Africa (as well, of course, from within ZANU PF itself). But if any of them really thought of Zimbabwe as a democracy, no way would they have asked him this question because, in a true democracy, everyone knows leaders can only be chosen by (as relevant) the citizens, the members of the political party involved or some other well-recognised democratic process. Indeed, if anyone was silly enough to name a successor, they would simply be ignored. Another example is the outcome of the recent Grace Mugabe incident, because only in a dictatorship could such behaviour go unpunished. In a true democracy, first of all if anyone had acted in such a manner, it would have spelled the immediate end of their public career. Second, his or her country would have distanced itself from their actions and given full blessing to South Africa to follow its legal processes. The worry is not that Grace might still succeed Robert (although that would be bad enough), the worry is that it is still even talked of as a possibility. Mugabe is also very clever in the way he continues to manipulate the minds of the opposition political parties, and virtually all Zimbabwe’s activists and campaigners. It is quite clear from their actions that far too few of them have any real understanding of the nature or the magnitude of ZANU PF’s power. First, despite all the evidence to the contrary, they still believe they live in a democracy. That is obvious from the way MDC politicians still futilely try to fight him in parliament, and continue to make their focus the 2018 elections, as if that will make any difference. Second, with very few laudable exceptions, Zimbabwe’s activists and campaigners continue to waste their time calling for electoral reform or criticising the leaders of the opposition parties, as if that will make any difference at all. Third, they believe ZANU PF might be destroyed by its internal divisions and the fight over who will succeed Mugabe. They fail to understand that ZANU PF is totally committed to power, fully understands it and knows exactly what needs to be done to hold onto it. Come the next election, or any action that ZANU PF itself perceives as threatening its power-base, and all the different ZANU PF factions will come together. The opposition will find itself facing a new ZANU PF as united, powerful and dangerous as it has ever been. Fourth, they still believe – as would be the case in a democracy – that Mugabe or ZANU PF take any notice of verbal attacks or criticisms made of them. Mugabe has been very clever again. Now that his power is consolidated, he rarely moves against vocal opposition and, by allowing activists, campaigners, the media and the political opposition parties to voice their opposition to him and their complaints about him, he lets them live under the delusion that they can still have some influence. Most African leaders, including Mugabe, have learnt that activists and campaigners, while often very vocal and articulate, rarely move from that to action. So why bother to take any notice of them? And while they continue to have a safety valve in being able to express their feelings in (in the dictator’s mind) petty little meetings, squabbles, criticisms, comments, articles and letters to the media, let them think they are doing some good. African citizens pan Africa, not just in Zimbabwe, are massively long on talk but massively short on action. And that is the reason – the ONLY reason – why 91% of them are still in poverty and governed by corrupt, repressive governments. The longer Mugabe’s opposition continues to believe ZANU PF is a political party and not Zimbabwe’s Establishment (or organ of state), the longer they think of Zimbabwe as a working democracy, the longer Mugabe and ZANU PF will stay in power. Because you cannot defeat a dictatorship by using the democratic processes. As soon as the leaders or potential leaders of Zimbabwe realise that, the situation will change. And that could happen overnight. The other thing Zimbabweans need to accept is that winning Independence was not a success, it has been a terrible failure because its citizens are far worse off now than under white rule. Julius Nyerere of Tanzania once said that Africans would rather rule themselves badly than be ruled well by foreigners. This from another head of state who destroyed his nation’s economy and caused poverty as bad as in Zimbabwe today. And most wealthy, educated or ideologically-driven Africans would agree with him. But they represent only a small minority of African citizens. But ask any African in extreme poverty if they would rather have a good standard of living and live in a dictatorship, or stay as they are now in dire poverty, and have the vote, and they will look at you as if you are mad. And they make up 91% of the population. I am not saying next year’s elections won’t lead to the downfall of Mugabe and ZANU PF because the chances are he and they will lose. But that’s not the point. The point is, how will Mugabe and ZANU PF react if that happens? There is unquestionably a serious risk of civil war. So the opposition political parties and activists who are relying on the election need to be very careful. This is not the electoral, democratic game they seem to think they are playing. They are playing with fire, they need to be fully aware of the consequences of what they are proposing, and they need to be prepared to accept full responsibility if it all goes badly wrong and ends in a blood bath. The only proven method of removing a dictatorship has been via a mass movement of citizens making government impossible. But at the moment only a few lone voices are saying this. The rest continue to act as if it is a democracy. The fact is, had the opposition, including activists and campaigners, spent all their time on created this mass movement years ago, Mugabe and ZANU PF would have been removed years ago and all Zimbabweans would have been well on the road to recovery by now. The other point that needs to be made is that neither Mugabe nor any member of ZANU PF actually love their country. In fact, they must all hate Zimbabwe because actions such as theirs can only come from vicious hatred. Mugabe and his cohorts in ZANU PF must also really hate their fellow-citizens with an equally vicious hatred.